There's one thing I love best when the parents go to other cities. Food souvenirs. Or oleh-oleh in Indonesian. I don't care if it comes in small or big packages, food souvenirs always successfully excite me. Few weeks ago, just before Christmas, the mother went to Bandung and Surabaya (two big cities in Java), and she brought much food home. 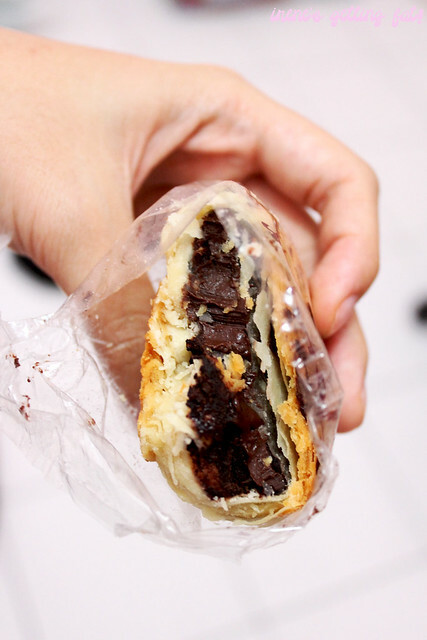 Moreover, my dearest BBF went to Bali for holiday and she brought the best chocolate pie I've ever had. I managed to take pics of the food from Bandung and Bali, but not the ones from Surabaya. They disappeared pretty quickly. And I'm sorry for the short post, it's been hectic at home with CNY preps, house cleaning, and I even haven't cut my hair. 1. Bolu ketan hitam (black glutinous rice sponge cake), from Prima Rasa - Bandung. 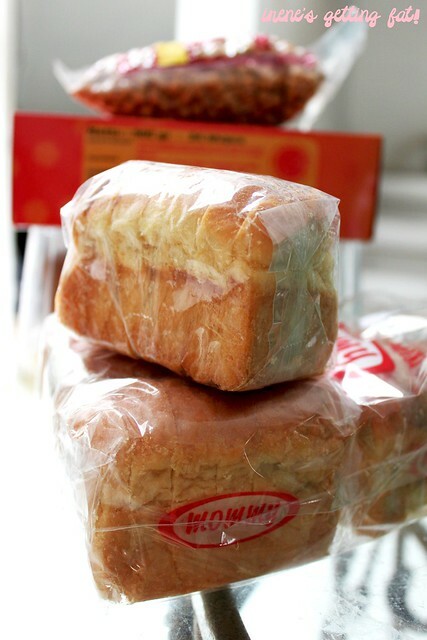 I never miss this sponge cake everytime I visit Bandung, and this is my ultimate food souvenir from Bandung. 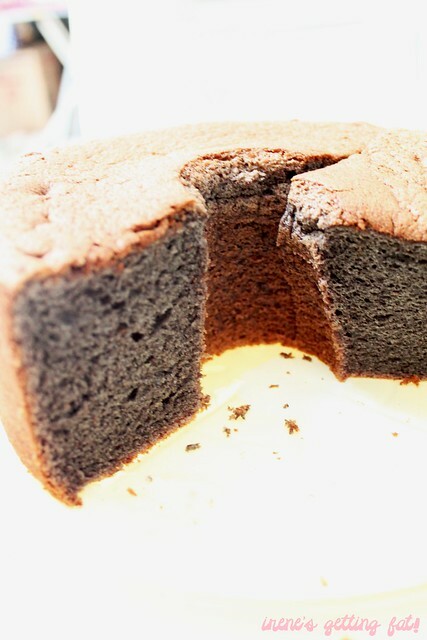 The sponge cake is light and airy, and the black glutinous rice's taste is so vivid. It's so delicious, it's great even served cold. 2. 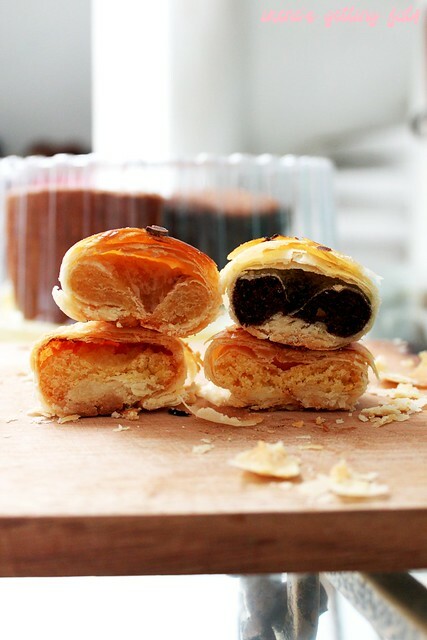 Assorted bakpia So Phia , from Lembang - Bandung. 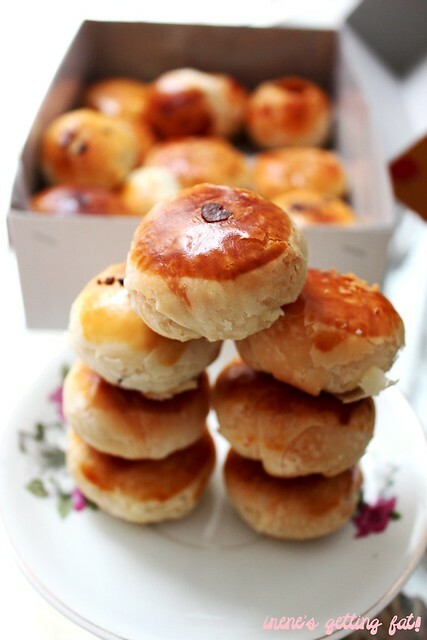 Pia or bakpia, is basically a kind of pie, round shaped with various fillings. I have heard about So Phia's pies before, yet that was the first time I had them. In the box the mother bought there are 4 kinds of filling: chocolate, cheese, mung bean, and durian. They're small, but surprisingly full of flavour and perfect for nibbling. All of the pies have flaky, layered skins, and the chocolate pie would be my fav. It's not overly sweet, and the chocolate paste tastes really good and chocolatey, although a bit crumbly which is weird. The cheese pie is savoury, being salty instead of sweet, but super addictive as well. The mung bean pie is good, with crumbly mung bean paste innards. The durian ones would be my least fav, the durian flavour doesn't taste real. 3. 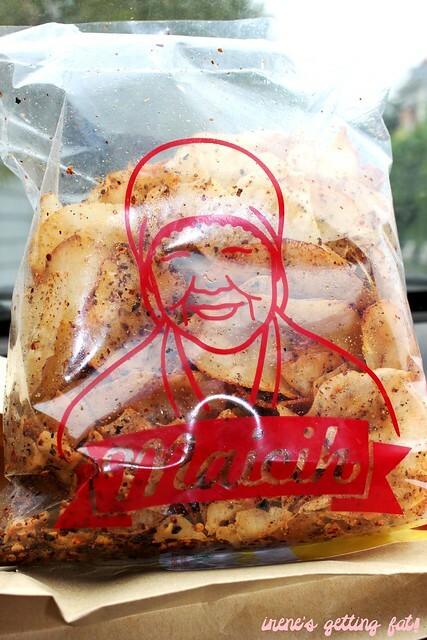 'Maicih' cassava chips, from Bandung. For some reasons, super hot cassava chips are trending in Jakarta nowadays, kind of. There are many brands and names, all offering incredibly hot fried cassava chips, challenging those who claim to have high chilli tolerance level. Apparently, it's no different in Bandung, and they have this particular brand that seems to be the most popular, Maicih. They have spiciness levels for the chips, ranging from 1 to 10, and the bigger the number the hotter the chips will be. The mother, understanding me perfectly, bought the level 10 chips and said she can't even stand the level 5. I love that they use heaps spices to give the chips a spices punch and aroma that they need. They are hot, very hot, but I've had the hotter ones. The chips are crunchy of course, and they are dangerously addictive despite being very spicy. It's great that they use spices to flavour the chips instead of using pure chilli powder like some brands do. 4. 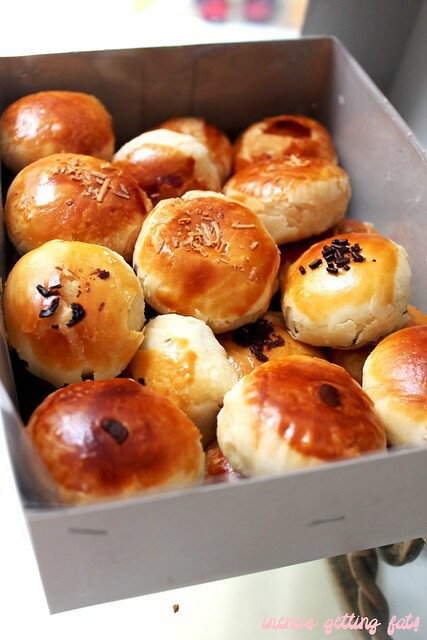 Bagelen (crunchy bread), from Bandung. Bagelen is a snack made from normal bread, baked into maximum crunchiness. It tastes like bread (duh), but with a sweet, buttery icing layer on every slice. 5. Pia Janger, from Bali. Another pie, you say? No it is not. The BFF also bought me Titiles's lap chiong (pork sausages), which I immediately used in my fried rice. It's so delicious, but no photos I'm afraid. 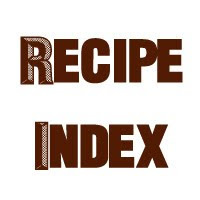 So, did you get delicious souvenirs from other cities/countries? Do share your stories, but sharing the food won't be refused either hehee. And it's CNY in two days! Brace yourself for the big feasts and angpaos!